Fabulous family home !! 3/2/2 desirable 2 story house on Cul-De-Sac in sought out Thoroughbred Lakes devlopment across from Target!!! 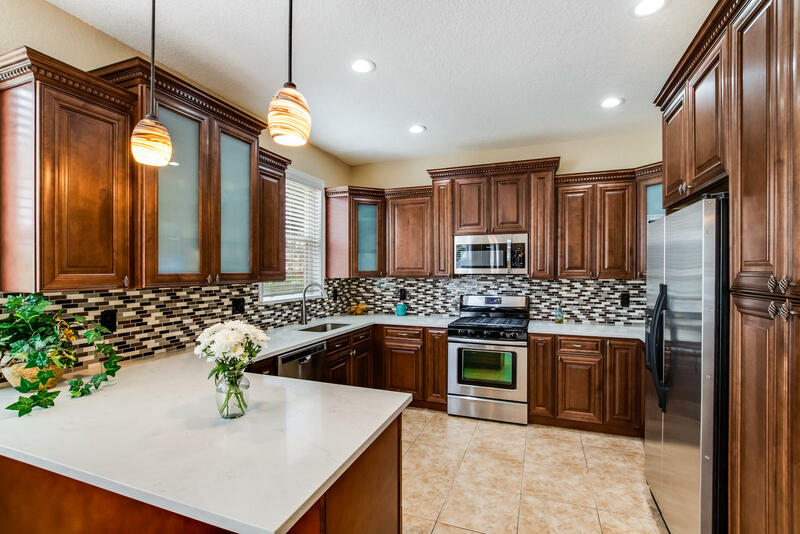 You will especially love the new updated kitchen with wood cabinets, quartz countertops stainless steel appliances, and modern back splash. The Family room leads you to the patio w/ private relaxing garden view! Upstairs you have 2 bedrooms and a very large master with a sitting room. Perfect for a nursery or office! Who doenst love having the laundry room upstairs??? Thoroughbred Lake Estates iis a gated community featuring 24-hr manned gate, resort style pool, spa, playground, clubhouse, gym, volleyball court. Low HOA fee includes lawn care.Great location and A rated schools! Come see this beauty today!